If you read a lot of websites that deal with women, aesthetics and Internet culture (and especially with the intersection of those three things), then you’re probably well familiar with the concept of Millennial Pink. If you don’t, I’m guessing the whole thing sounds a little suspect to you (how can a generation claim a color? ), but you’ve definitely seen the phenomenon it refers to, first observed by The Cut. The term refers not to a single pink, but a set of shades tied together by their common refusal to be neither pastel nor bright, baby nor neon. They’re pink but not precious or loud, and they feel just right for a generation of women well into their careers in plenty of corporate corners not especially friendly to the trappings of traditional femininity. They straddle that divide between modernity and moderation, just like so many young women in their 20s and 30s do. On an aesthetic level, Millennial Pink is also popular for a reason: the colors that make up its range are wearable in both casual and professional settings, and the ones that tend more toward peach can read as true neutrals at times. Of course, millennials aren’t the first people to embrace these shades: the color has long been associated with Prada and Miu Miu in my head because both brands have used it in their packaging for years. 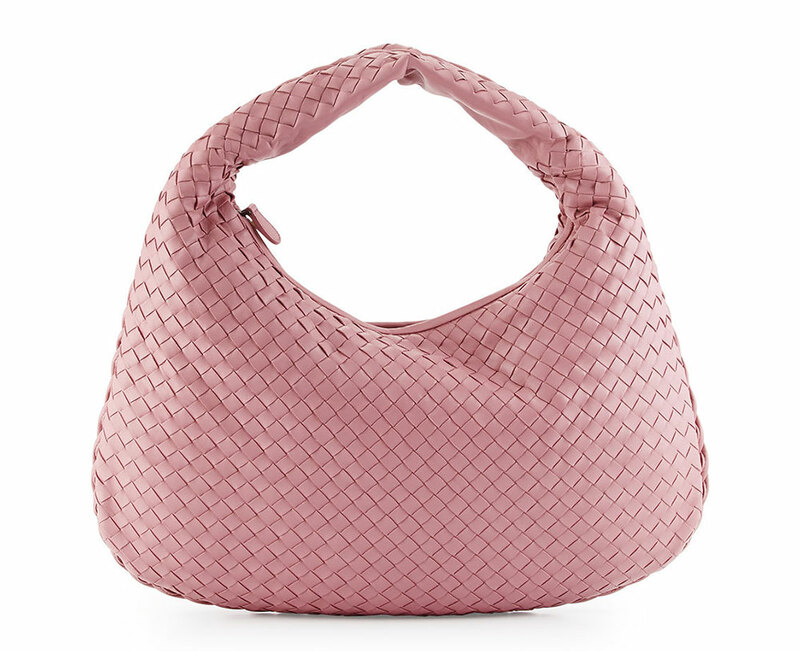 More recently, Mansur Gavriel has also adopted a Millennial Pink shade as its signature color. The range and versatility of MP shades means that there’s probably one that would appeal to almost anyone, no matter their age, and the concept’s popularity mean that there are a ton of great Millennial Pink bags on the market right now from virtually every brand big and small. Check out 20 of our favorites below. If you like watching TV series, you surely heard of The O. C. which is a prime time drama that lasted four seasons and was on for four years starting from 2003. In this very popular TV series, Rachel Bilson played the role of Summer Roberts, one of the main characters. The show got her a lot of attention and launched her career in show business. Since then, she has been involved in the fashion world with positions such as director at Sunglasses Hut. She surely knows a thing or two about fashion and her unique style is always nice to see; a casual outfit with a pair of jeans, a black top and the right accessories. If you can’t recognize the famous handbag, it is a Chloe Marcie Bag; a design and that has become very popular amongst celebrities such as Katie Holmes and Jessica Alba, and now, Rachel Bilson. The handbag goes well with her effortless style and while it may not be very hard to pull this look off, she always looks amazing. Given the large size of the handbag, it is perfect for everyday use and there is no need for other shinny accessories; granted, the pink scarf is a nice touch here. Rachel made her film debut in 2006 when she appeared in The Last Kiss and she also had a role in the action film Jumper. Fans of Hart Of Dixie have surely recognized her; she is Dr. Zoe Hart. She does keep a pretty busy schedule with her acting career as well as constant involvement in the fashion world and it is always nice to see her wearing a casual outfit. When looking to get inspiration for an outfit, celebrities are always a good place to start as long as you look at the right ones. For something simple and cute, this outfit worn by Rachel Bilson is a great choice and make sure that you get the right accessories to go with it; things like the fashionable handbag and maybe even the color splash of the scarf. Looking like a celebrity is not always difficult if you know what to get. Very few brands are truly forward-thinking enough to risk being ahead of their time, but Céline is one of them, and the All Soft was ahead of its time by several years. 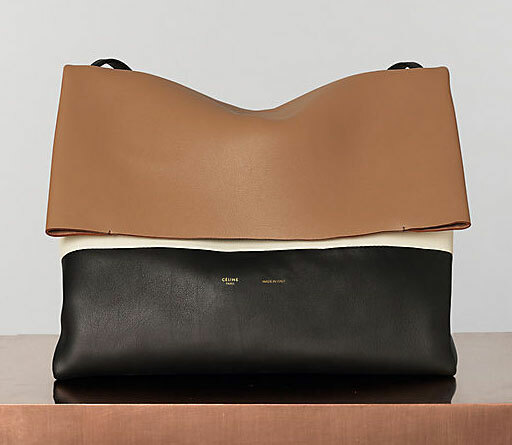 In retrospect, the design is so finely tuned to everything that’s going on in accessories right now, and it’s functional on top of it: easily shoulder-carried, roomy, colorblocked into logical panels to give the exceedingly simple shape a note of modernity. There’s no hardware or gimmicks, just a really solid, chic design. The All Soft never quite took off in 2013, but in 2017, I can imagine seeing it constantly, if only there were still new ones to be had. So, Céline, if you’re reading this: consider a revival. We think it’d be worth your while. If you’re into pre-owned bags, a handful of All Softs in good condition await you at Vestiaire Collective.